Get 100% up to £500 now! Editors note: The Ladbrokes casino bonus is a 100% deposit match up to £500, one of the biggest bonuses of all the casinos we’ve reviewed. They’ll also give you £1 for every 100 comp points you earn with them meaning that there’s on going value to reward your loyalty. With an awesome brand reputation there’s no reason not to get signed up! The Ladbrokes Casino selection of slot games encompass traditional options as well as more modern video slots, and also include games with different numbers of reels and different sizes and types of jackpot. Over 150 of the Ladbrokes Casino slot games are manufactured by UK based Playtech, and these include enduringly popular titles such as those games themed around Marvel superheroes and their movies. Amongst the other slot games provided, too, are those base on popular films like Gladiator and retro TV favourites such as The Avengers. Play slots at Ladbrokes & get your 100% up to £500 bonus! 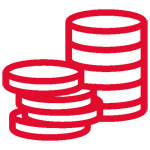 Brand new Ladbrokes Casino customers are welcomed to the company by way of a simple and yet generous new player bonus. Bonus funds worth 100% of the customer’s first deposit, up to a maximum of £500, will be credited as long as that first deposit is of £20 or more. Visit casino.ladbrokes.com on whatever device you wish. Tap or click the green ‘Join Now’ button found at the top right hand corner of the page. A registration form will then pop up, requesting you fill in certain information. Do so and work through the form using the green ‘Continue to Step’ buttons. Make a deposit worth at least £20 to your new Ladbrokes account. Bonus funds worth an amount equal to 100% of that initial deposit, up to a maximum of £500, will be credited to your account. Get your 100% up to £500 bonus here! The bonus is limited to brand new Ladbrokes customers only, and can be utilised just once per customer. In order to qualify for the bonus, a customer’s first deposit must be worth at least £20. The bonus amount credited will match a customer’s first deposit 100% up to a maximum of £500. All deposited funds will be played through before the bonus funds can be used. Bonus funds are non-withdrawable and no withdrawals are allowed to be made before an amount equal to at least 20 times the bonus AND deposit amounts have been wagered. If a withdrawal is attempted before those requirements are fulfilled, the bonus is void. All bonus funds and winnings resulting from the use of bonus funds will be removed. The above wagering requirements must be completed within 30 days of bonus funds being credited. If the requirements are not fulfilled in that time, the bonus is void. All bonus funds and winnings resulting from the use of bonus funds will be removed. For the duration of their bonus, players must not bet more than 30% of the value of the bonus or more than £50 on any one spin or game round or else the bonus is void. Only games played through the Ladbrokes Casino contribute to the wagering requirements. Games do not contribute to the requirements with equally weighting. Contribution weightings are as follows; slots, scratch cards and all games not otherwise named here contribute 100%; Roulette, Casino Hold’Em, Baccarat, Stravaganza, Sic Bo, Wild Vikings, Pai Gow , Red Dog, 3 Card Brag, Caribbean Stud Poker and Blackjack (excluding Blackjack Switch, Blackjack Surrender & Pontoon) contribute 20%; Ugga Bugga, Vacation Station, Highway Kings, Chinese Kitchen, Video Poker, Darts, Heads or Tails, Spin a Win, Dice Twister, Wheel of Light and Craps contribute 10%; Blackjack Switch, Blackjack Surrender, Pontoon contribute 5%; all double options on slots and video poker fail to contribute. For full terms and conditions please visit the Ladbrokes casino now. *Cheques sent outside the UK may incur a charge. Those punters who like to play their favourite casino games on the move can do so through the Ladbrokes Casino mobile site, regardless of their device. The Ladbrokes mobile offering, after all, is largely designed to be web browser based rather than to need to be downloaded. If preferred, however, there are both Android and iOS apps that can be downloaded. The Ladbrokes Casino mobile offering is an attractive and an easily navigable one, which allows players to access and launch their favoured games with ease. Those games include a decent selection of traditional casino games, as well as in excess of 50 different slot games. Amongst those available slot games are popular titles such as Frankie Dettori’s Magic Seven and a range of games themed around Marvel comic books and movies. Games, too, are well optimised for the smaller screens of phones and tablets, which is a further notable plus for the Ladbrokes Casino app. There are unfortunately a few issues with the Ladbrokes Casino mobile offering, which will detract from a player’s enjoyment. The first of these is a problem which will be immediately noticeably, in that the app is often ponderously slow to load and can also take a long time to move from one category to another. What’s more, those customers who choose to download the Android version of the app rather than use the HTML5 version, are likely to discover that it is far more prone to freezing than is generally acceptable. Finally, too, the fact that the selection of games provided via mobile is so much smaller than that offered via the desktop Ladbrokes website is also sure to annoy mobile customers. Get the app & a 100% up to £500 bonus deal! A familiar sight on British high streets and a provider who have been offering both sportsbook and casino services online for decades, Ladbrokes unsurprisingly offer a number of options for customers seeking support. Easily accessible from all sections of the Ladbrokes website, the company’s online help centre is provided to swiftly solve problems and answer queries. That centre is populated with frequently asked questions related to all of Ladbrokes’ services and covering areas such as forgotten passwords, problems depositing or withdrawing funds and game rules. There are significantly fewer pages featured within the centre, however, than can be found as part of similar services offered by other providers. There is also no facility to search the FAQs by keyword, making it somewhat ponderous to find specific answers. If the help centre doesn’t satisfy a punter, though, they can also contact Ladbrokes’ customer service staff 24 hours a day and seven days a week. Those personnel can be reached via online live chat and over the phone, and no fewer than five different email addresses are also available for differing types of query. The Ladbrokes Casino service is licensed (license number 1611) and regulated for UK based players by the Great Britain Gambling Commission. The company itself, however, is actually incorporated in Gibraltar and is licensed for all other customers by the government of Gibraltar and regulated by the Gibraltar Gambling Commission. The organisation’s registered office can be found at Ladbrokes International PLC, Suites 6-8, 5th Floor, Europort, Gibraltar. In addition to that licensing and official regulation, Ladbrokes Casino also boasts payment reviews by the independent auditors Gaming Laboratories International as a further measure of their fairness toward customers. All data transfers undertaken via the Ladbrokes site are also 128 bit encrypted, furthermore, to ensure an impressive level of cyber security. There are plenty of things to like about what the Ladbrokes Casino provides to its customers. A welcome promotion, for instance, which can provide a maximum bonus amount of £500 is unquestionably one of the generous on the market. The restrictions and conditions placed upon that bonus, too, aren’t as harsh or as complicated as those associated with some similar offers elsewhere. Both new and existing Ladbrokes Casino customers, too, can benefit from what is an excellent selection of games made available through their desktop site. That selection shrinks significantly, however, when it comes to the company’s mobile offering. The mobile side of Ladbrokes Casino, in fact, is one area in which the company’s service is comparatively weak. As well as featuring fewer games than the desktop site, the mobile app can also be frustratingly slow and the Android version is also subject to glitches and issues that cause it to freeze or crash.